in front of the swim beach on the NW side of Jacob’s Creek (marked in black on map). 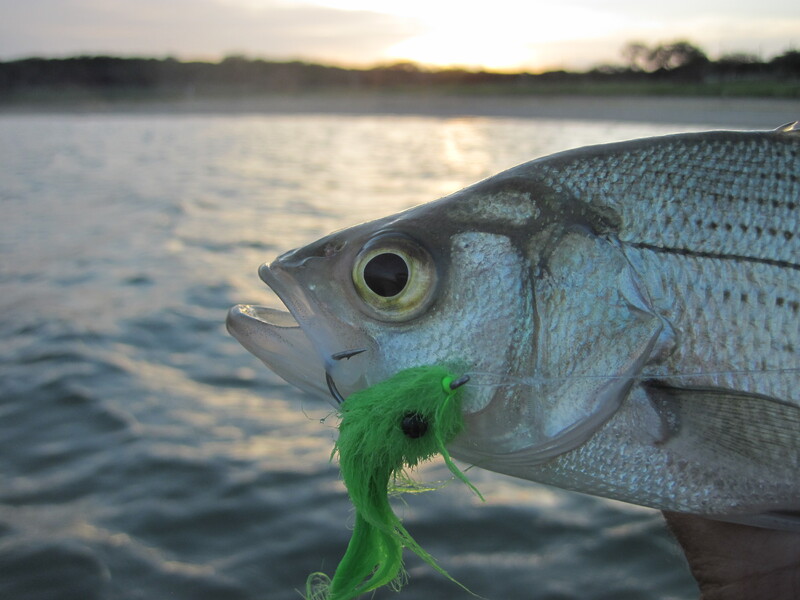 The wind was pushing waves hard against the shore and the water was off-color, but the winds had also piled up a lot of small shad along the shallows and chances were good that bigger fish were there too. It almost felt like fishing in the surf. I was casting 8wt. tackle (TFO TiCrX) with floating line (Cortland Clear PE). 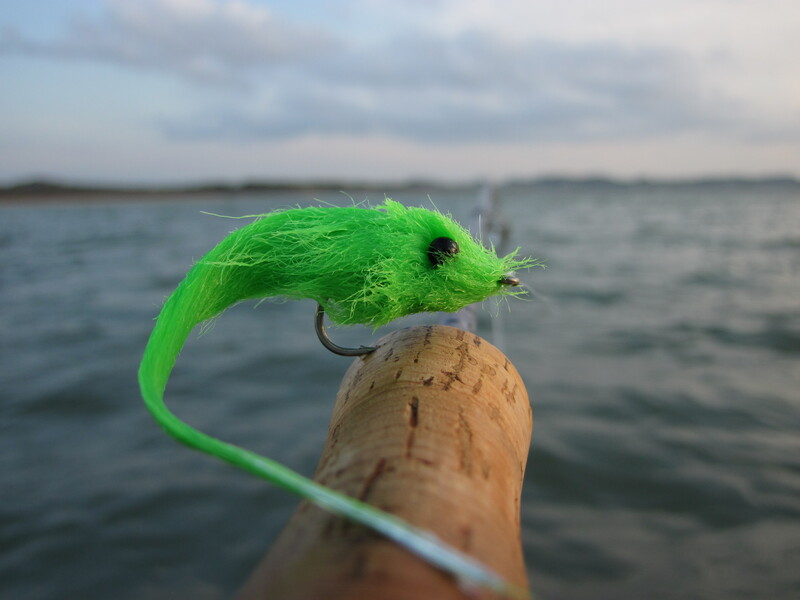 Due to the off-color water, I chose a large chartreuse Meaty Minnow. Almost immediately I started hooking up on white bass. They were small but plentiful and present all around in water barely 2 ft. deep. 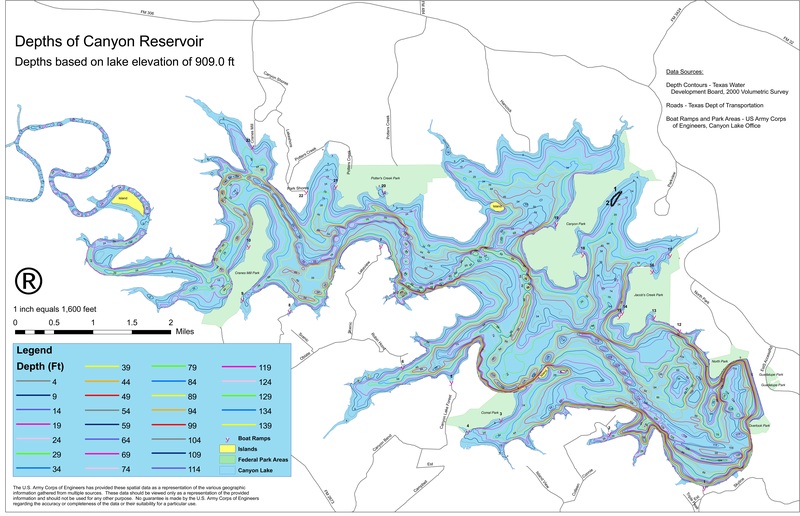 I also hooked up on a very solid fish that turned out to be a large blue catfish (#1 on map) . It has not been uncommon to catch blue cats on fly tackle at Canyon Lake. At sunset I hooked a very strong fish that fought for several minutes and then got off- disapointment! Felt like a striper, but I’ll never know. I flipped on the GoPro camera, and on the next cast I hooked an equally strong fish and eventually brought it in close… a nice striped bass (#2 on map). As I reached for the fish, he threw the hook and slipped right through my hands. Off he swam. No photos! But, I at least got him on video. As the sun set, I caught a few more whites but no more stripers. 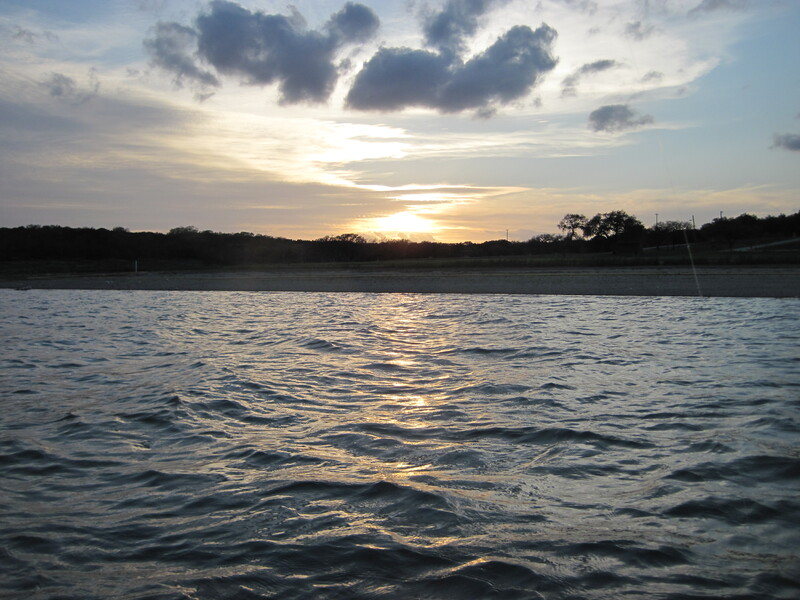 Tonight was a perfect example of why windswept shorelines offer such good fishing. The wind pushes plankton, which attracts baitfish, which in turn attracts predators. How does the saltwater line fish in the fresh? does it still float? I have been using the SA intermediate clear Bonefish line for years and more recently the Royal Wulff triangle taper clear intermediate (both great lines). I was looking for a clear floater when the PE line came out. I like it… Works fine fresh or salt. I don’t throw too many poppers with it, but it seems fairly buoyant. No problem lifting off water surface. 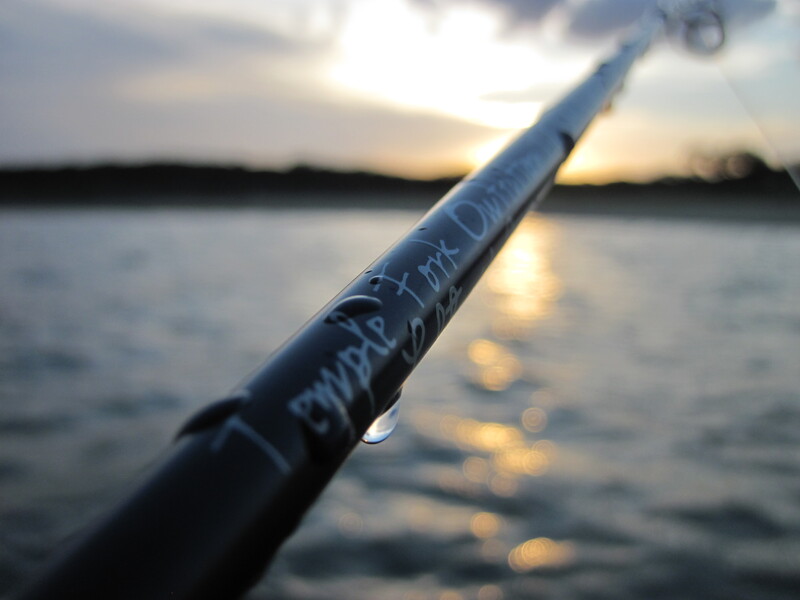 Good line for casting to spooky fish in shallow water. Any of these clear lines takes some getting used to. Judging distance can be tough when casting a clear fly line, but you eventually get the feel. Here’s a link to Cortland’s site.